Great colours for spring, loving Roc's lady too. 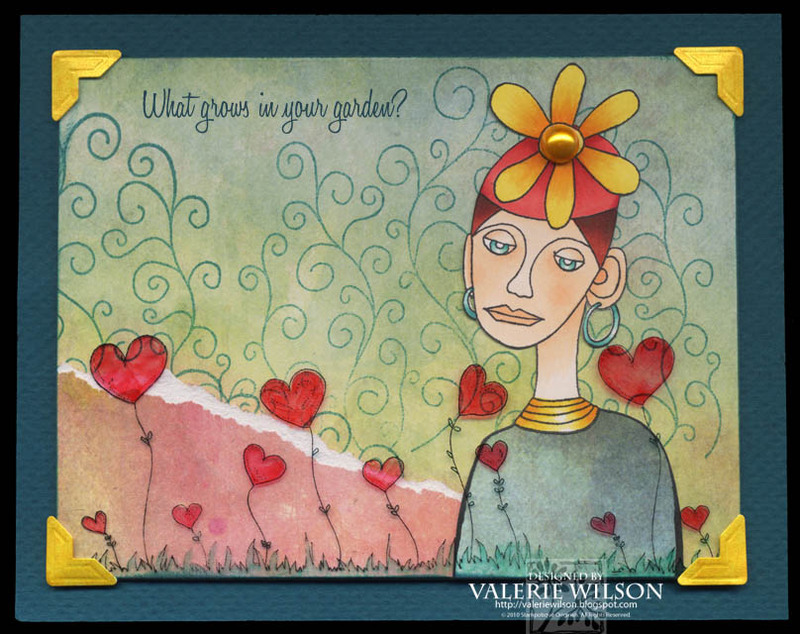 Great card, Val! Fabulous combination of stamps! 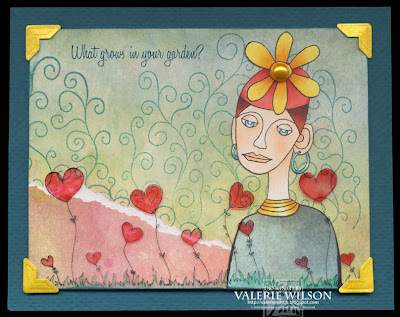 Great card Val, love this image with her flower hat. you did a wonderful job. love your card! thanks for using my daisyhead rubber stamp! i appreciate your support. Love the way you created the background! !